You can read more about the first tasting here. 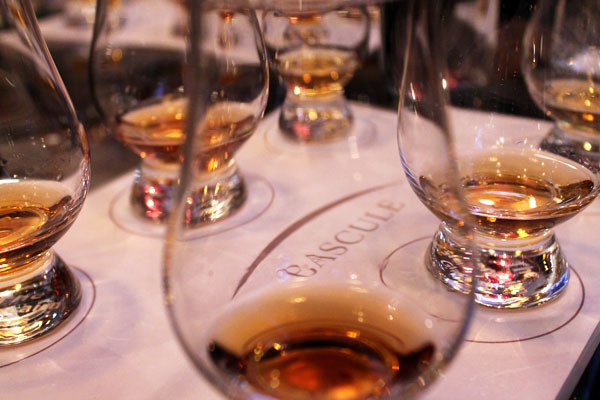 The Bascule bar a taste experience is the Bascule Bar’s intermediate Whiskey tasting. 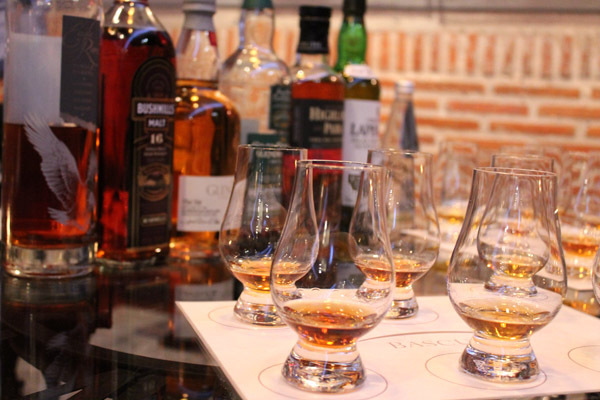 As with the first tasting, a “Taste Experience” focuses on how Whiskey is made but aims to give more succinct examples of the many complex characteristics that can be found in single malts. In other words, the Whiskeys are older, more delicious, and regrettably more expensive. Insert joke surrounding going to bed with a firm bodied 15 year old… Oh wait, I think I just did. This adventure wouldn’t be as much fun if I didn’t invite the bud that invited me to the first tasting, Kevin -drummer extraordinaire, and donor of hair (all of which go to sick children. This accounts for the scarcity of “pate insulation”). 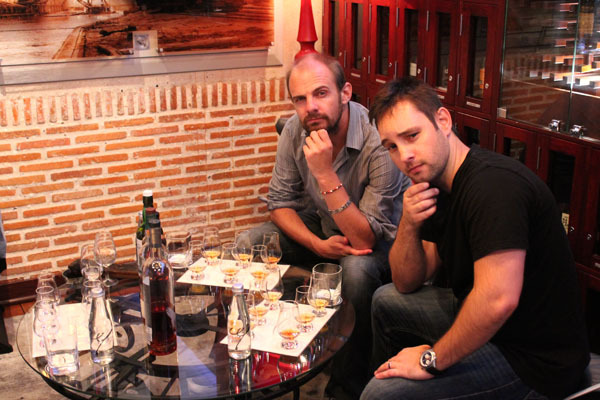 The tasting started with an American bourbon – Eagle Rare Bourbon. White American Oke, Barley, and Peat. Old friends together at last. We moved onto the Bushmills (16 year old). I liked this one, it’s something I could see myself drinking regularly in the late evenings, sitting on my balcony, and typing out my award winning novel. Delusions of grandeur aside,this has a short smoky finish, with almost flavours of hay coming through, topped of with a ping of anis. This tasting is meant to help inform on a deeper level, and on a deeper level I have found nothing exceptionally great to say about the Glen Kinchie (12 year old). Whiskey is a personal journey, maybe I’ll meet GK12 again and give it a hug, or maybe it’ll beat the crap out of me and leave me for dead. Who knows? This picture just makes me want to go back. Bascule Bar if you’re reading this, how much would it cost to rent this space as my lounge? 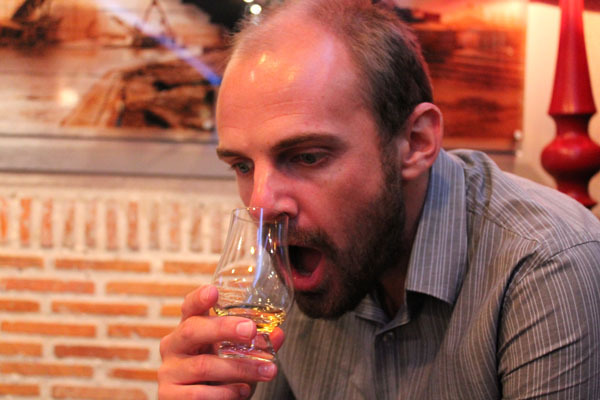 To get the most out of the Whiskey’s aroma you need to open your mouth while breathing in, as demonstrated here. This is also perhaps one of the most masculine of poses possible, and should be done as a sign of dominance whenever the need arises. 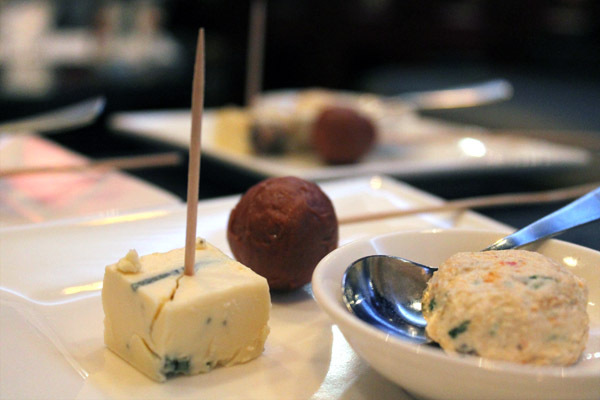 Blue cheese, chocolate truffle, and smoked Snoek pâté pairings. Next up was the Glen Dronach (15 year old). This sweet nectar is a happy place, filled with stone fruit and dates, and not in an “elderly pensioner wanting to be more regular” kind of way either. It’s matured in sherry casks and the flavour comes through so clearly it’s amazing, and unlike old age pensioners, will give you a firm punch at 46% alcohol. The Glen Dronach, is exclusively matured in Spanish Oloroso Sherry casks. 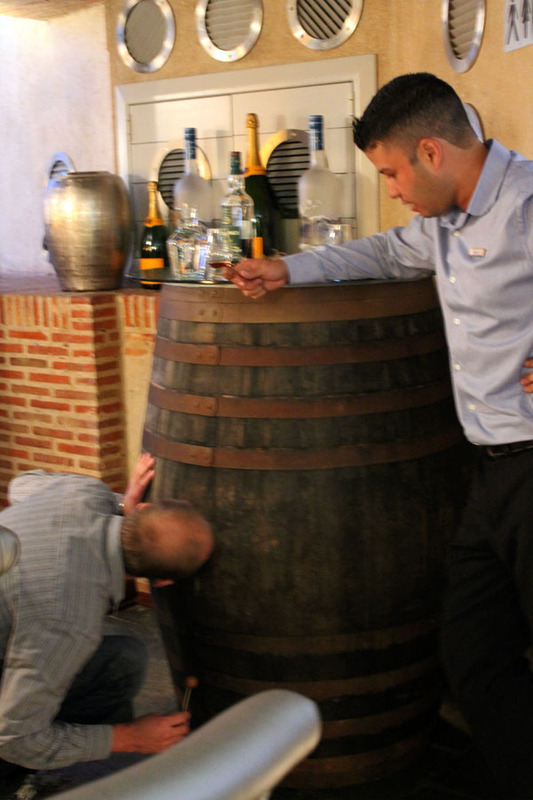 They have procured one the previously stated Sherry casks to help illustrate how the cask affects the whiskey. At any other occasion this site would be odd. Oh, and this whiskey is paired with the chocolate truffle. Highland Park (18 years old), is wondrous and is the perfect whiskey if you’re ever by the sea, or conversely away from the sea and need a sea-sprayed memory. 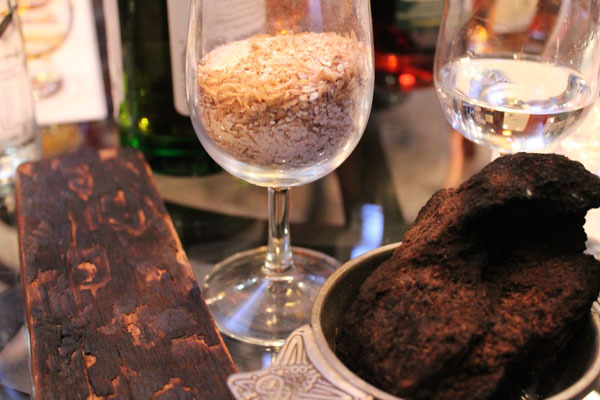 This sounds odd, but it’s slightly salty, and smoky, and if you close your eyes, you could be next to a bonfire on the beach somewhere – it’s remarkable. Really it is. 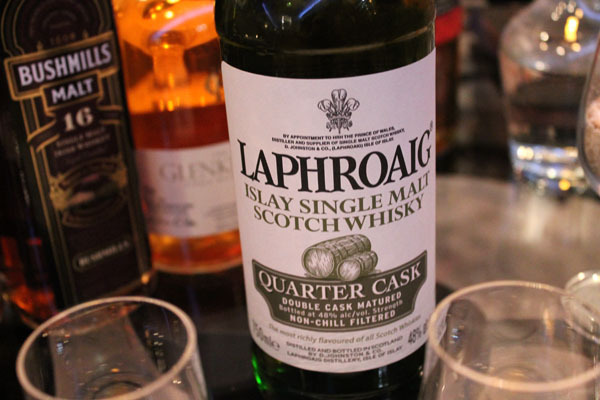 The evening was topped off with the Laphroaig (Quarter Cask). It’s the understated quiet ones that get you. Ladies and gentleman, I introduce you to the “Deep thought maker”. This sneaky whiskey is that friend you stay up till two in the morning talking about the state of your relationships, the state of the world, how you fit into that world, what it must look like to be in space looking down at humanity on the thin dry crust of a planet while being slung around a fiery ball of flame. Yes, with its understated label, and it’s plain green bottle, this whiskey is a maker of kings, revolutionaries, and warrior poets. With incredibly smoky deliciousness somehow coupled with a strong medical TCP taste it somehow shows you its duality. To say that I like this whiskey would be a shattering understatement. 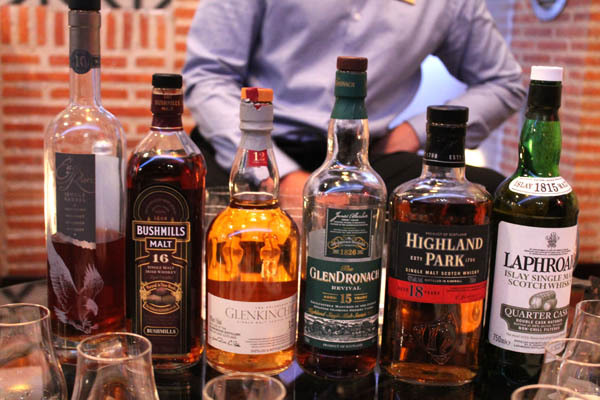 In conclusion, I seem to like Single Malt Whiskey a fair amount, and am so glad I had the opportunity to go do this tasting – the atmosphere is great, the people doing the tastings are some of the most passionate I have ever met (maybe good whiskey does that to people?). 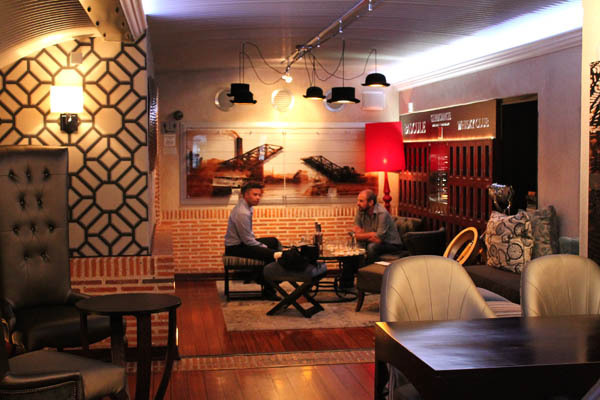 Plus they have the largest selection of Whiskey in the Southern Hemisphere, so there’s a pretty substantial chance you’ll be able to find something you’ll enjoy. Writing this post brought back the evening and I have a huge grin going on right now. 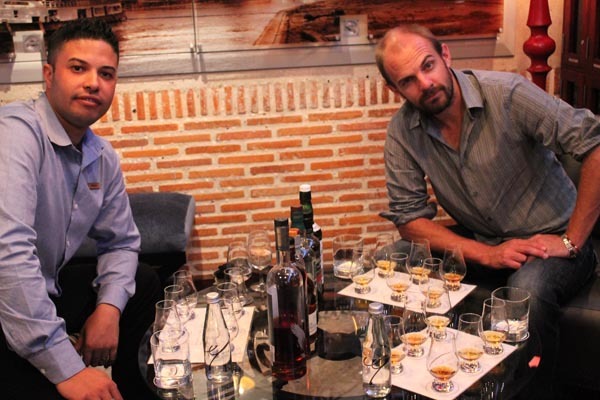 A special thanks to Bradley for taking us through these amazing Whiskies, and a huge thank you to the Cape Grace for opening their doors (and bottles) for us to come visit. You have made a friend for life. Next ArticleWhat’s difference between Flavour and Taste?